The IG Wealth Management Walk for Alzheimer’s is Canada’s biggest fundraiser for Alzheimer’s disease and other dementias, raising over $5 million in 2018. These funds support local Alzheimer Society programs and services that improve quality of life for people living with dementia and their families. This spring, thousands of Canadians will participate in Walk events taking place in over 300 communities across the country. 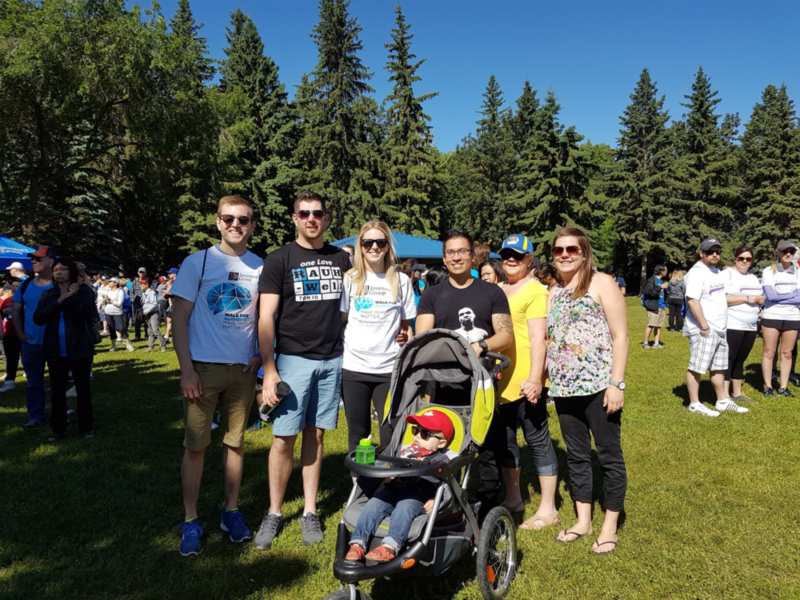 We asked four of these Canadians to share their thoughts on why they participate in the IG Wealth Management Walk for Alzheimer’s. Read their stories. I’ll be walking for my nana, Lizeta. My nana was diagnosed with dementia over eight years ago. She’s a huge inspiration for my volunteer work with the Society. She’s my reason for taking part in the Walk. 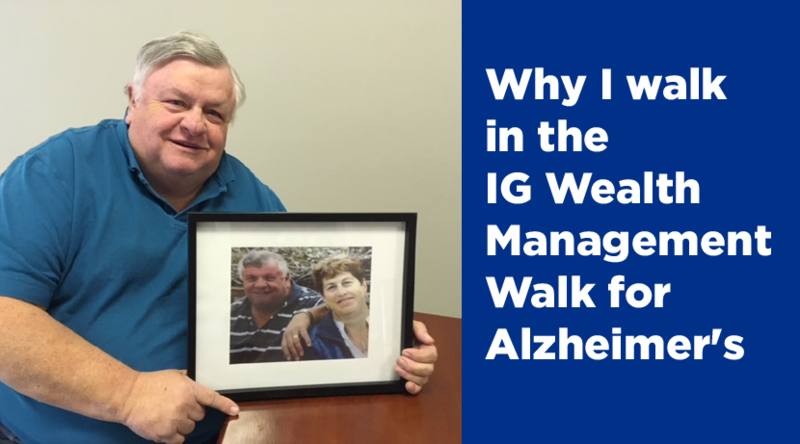 Why did you join the IG Wealth Management Walk for Alzheimer’s? I really believe in all that the Alzheimer Society stands for. I also have my own personal reasons in wanting to do my part, from fundraising for the support the Society provides, to helping toward finding a cure. Having almost finished a degree in therapeutic recreation, I’ve had experience working firsthand with many people living with dementia. I have been touched by so many individuals’ life experiences that I feel a responsibility to do my part to help reduce the stigma surrounding this disease. I’ve seen firsthand the support through education, community outreach and fundraising that the Society provides for thousands of people living with dementia and their families. I feel honoured to be a part of such a great organization. I’m proud to be able to help them and help so many more. What would you say to someone who is considering joining the IG Wealth Management Walk for Alzheimer’s? No level of participation is too little, no donation is too small and no effort goes unnoticed. I encourage everyone to sign up for the Walk and ask their family and friends to join them as well. I cherish my memories of past Walks and look forward to participating again this year. Unfortunately my family has been touched by this disease multiple times. I walk for my mother who had young onset dementia and Alzheimer’s and passed away in 2015. I walk for my grandmother who also had Alzheimer’s and passed away in 2008. And I walk for my grandfather who is currently living with Alzheimer’s. I joined the Walk because it was a way for me to give back in a meaningful way. The Alzheimer Society and its resources made me feel empowered in a time where I otherwise would have felt powerless. I’m happy to give back in any way I can. I would say, do it. There’s power in numbers. There’s power in knowing you’re not alone on your journey, that you’re not the only one who has a family member living with the disease. The more we as a society can band together, the more connected we become and the more money we can raise for Alzheimer’s research in the hopes of one day finding a cure. 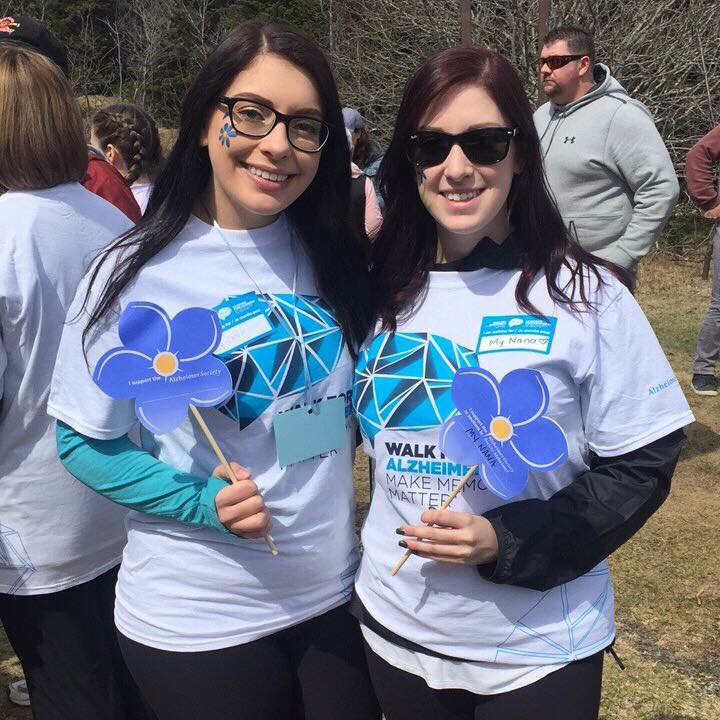 Walking for the Alzheimer Society was her contribution to raise the profile of the work that they do, as well as raise funds to support research so that someday a cure can be found. 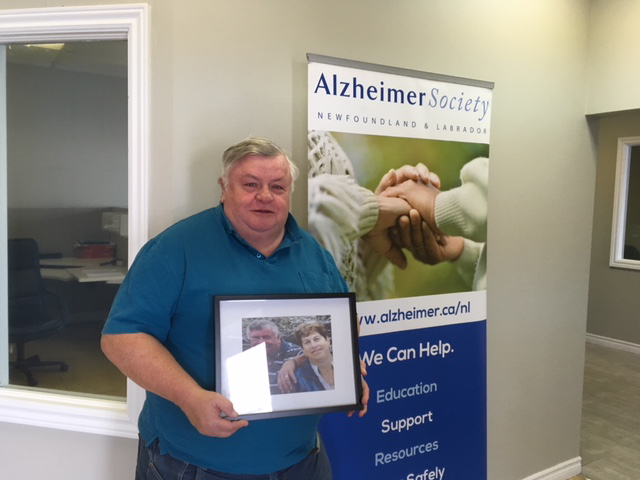 I want to raise funds for both the Alzheimer Society and for Agatha. 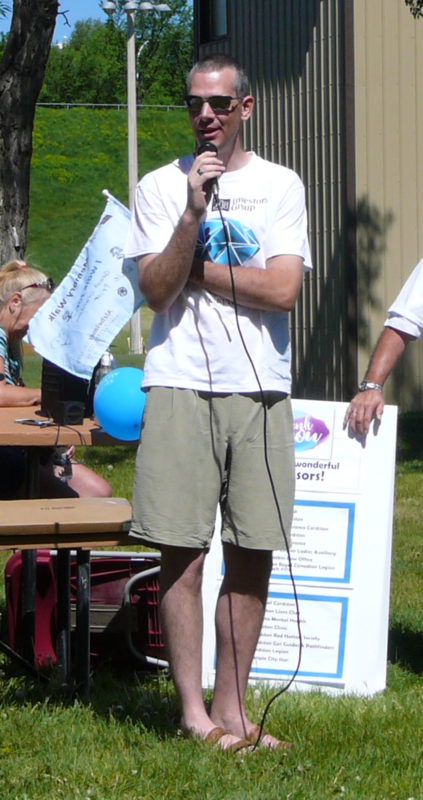 I walk to support the services of the Society—and for the thousands of other families living with dementia. But the number one reason is for Agatha. I’ve been personally affected by the disease and want to continue to give back to the Society. And, it’s important to raise funds and awareness for programs and services, family support groups, and education about Alzheimer’s. I do it because it’s what Agatha would want to do. She used to say, “I can’t do much, but I can do this.” She felt it was her job to make people aware. Walk for the children so there can be a cure and they don’t have to deal with this disease in the future. Register at walkforalzheimers.ca. 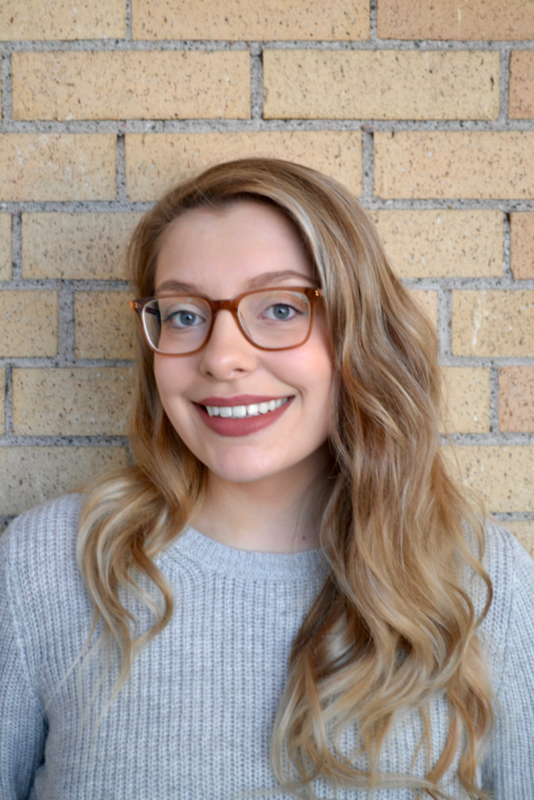 The Walk is one of the Society’s major fundraisers and they need support for their First Link® program, their services and to keep the office up and running. And the funds can go toward finding a cure for one day down the road. There’s a little work involved, but it’s rewarding. It’s a fun day and you get to meet other people who support the Alzheimer Society. Most of all, the Walk gives you a sense of accomplishment that you are making a difference. It’s a day of celebration where you have your support network standing with you! I walk each year for my grandmother, Elsie, who had dementia. But I also know many others who are either affected, or care for family members with the disease. I started getting involved after seeing how amazing the Alzheimer Society was in assisting those affected. I noticed that they supported the caregivers as well—not just the person with the illness. I would say to them that the best time to get involved is today. Giving our time to a cause that can help someone is the greatest gift we can give. Our time is the only resource we have where we don’t know how much we have and we can’t get more, nor can we get it back. When it runs out, that’s it. So, giving our time today, while we have it, means more than any cheque, cash or donation that we can make. Be part of the change, here and now, and make the most of your time you have left, no matter your circumstance. Interested in joining a Walk? Find an IG Wealth Management Walk for Alzheimer’s near you. Visit www.walkforalzheimers.ca.